I bought this today. Fitbit is a pedometer which measures your distance, steps and calorie intake. It also measures your sleep efficiency and restlessness. 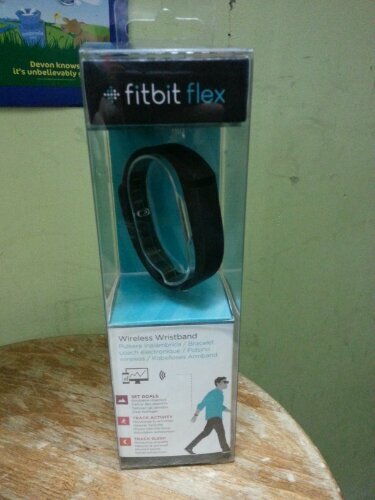 It syncs to the PC and to the Fitbit website. I only just bought it and will do a full review in a while. It is good so far. This is a bluetooth HRM which enables it to connect to a bluetooth device like your mobile phone. It connects to applications like Endomondo and other fitness applications. 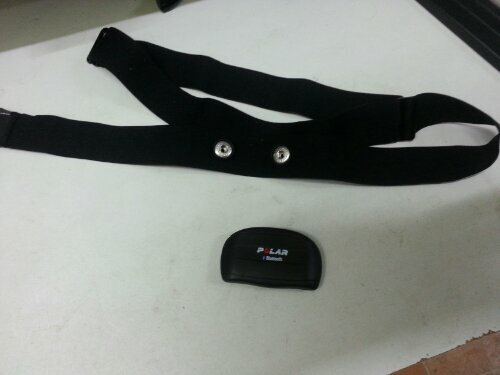 The strap is very good quality and when you put it on, it is very comfortable. The monitor runs on a battery which it says last 150 hours. I’ve kinda damaged the opening bit of the battery. I just didn’t use the right coin which is a 10p and also I didn’t turn it hard. I went slow and the sides have kinda melted and now I can’t turn it. It’s good so far. Make sure you wet it then connect it. Connecting with Endomondo is easy. I’m gonna have fun with this working out. One thing is for certain. I am so picky with my shoes. I shop and shop and finally after a long time (months) I have or rather my wife decided to buy these shoes. My old shoes are a mess. Just a piece of rotten leather with cracks and creaks. So I bought these. 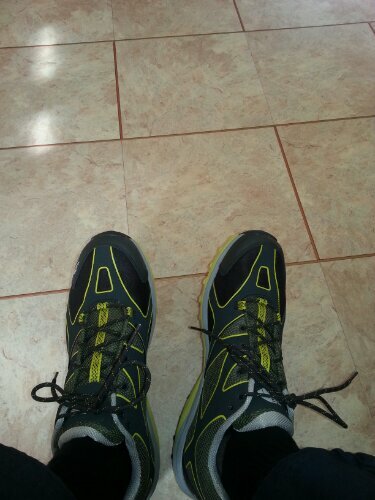 I paid 88 pounds for them at Tiso. Tiso is a pretty expensive shop to shop at. On the net you can probably get them cheaper but they are waterproof and comfortable at the same time. The combination of black and green is brilliant. My son loves green and he has similar coloured Ben 10 ones like mines. I’m hoping these will last me over a year. Hopefully. I had about £150 on Argos card waiting to be spent. Because at the end of this week, the points would get destroyed. Last time I bought a scale and a heater for myself. Then mum said we need an iron but time was running out and she didn’t even talk about it so I said F-it and I went and bought a camera and boxing gloves. These are for kick boxing aka Muay Thai. The ones in the club are so sweaty that it makes you puke. So I waited for a couple weeks to see if I even like the sport as my goal is to lose a bit of weight. I really do like it so I decided to buy my own gloves. And here they are. In black and white at £25. They fit well for an adult and are 14 oz. Good for a punch or a jab. They are pure leather and it has a nice feeling to it. Now for the gel wraps, I really love these pair of gloves or gel wraps. You can ideally wear them beneath the gloves. The wrist wraps are pretty good. Don’t tighten them too much though. The gloves fit well and you can do press ups and general work out wearing them. You can even wear them when you are on your bike or something. Really good.